Bad Religion in Montreal or Quebec City? Inform me about the next events for Bad Religion. Enroll yourself to our priority waiting list for Bad Religion to be alerted when new tickets are available. Filling this form doesn't engage you to any purchase. Be ready, Montreal! 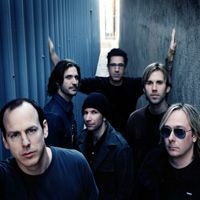 Bad Religion shows up at Metropolis March 30, 2013! The legendary California punk realesed their last album, True Nirth, on January 22nd. Billets.ca is here to help you find the best tickets!